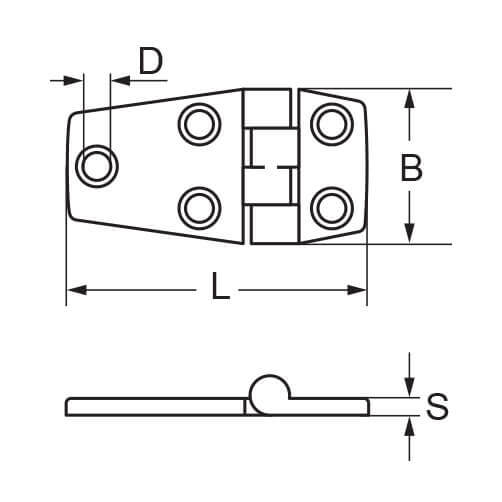 Door hinge, perfect for installation in tight spaces, such as cabinets and hatches. Manufactured from 316 (exterior) grade stainless steel. Countersunk screws are required for installation. For installation you will require a few simple household tools. 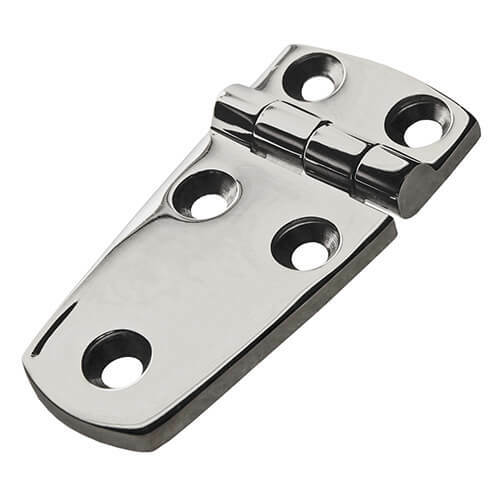 Short sided hinge manufactured from 316 marine grade stainless steel. With five countersunk fixing points for you to attach with the fixings of your choice. Quick and easy to install and built to last, perfect for both DIY and professional use. Screws NOT included due to the individuality of each installation (mounting surface, thickness and location), we recommend sourcing screws to suit your particular needs. No.10 Countersunk Wood Screws for 56mm Door Hinge. No.10 Countersunk Wood Screws for 76mm Door Hinge. Great quality, used these on a cupboard that I have made to look like an old refrigerator. Stainless steel Wood Screw Fixings available. Complete range of stainless steel Screw Fixings available. Non-abrasive Metal Polish paste for cleaning and protection of stainless steel.